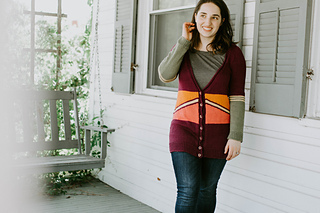 For this cardigan, I chose colors that reminded me of colors I’d see on a butterfly. 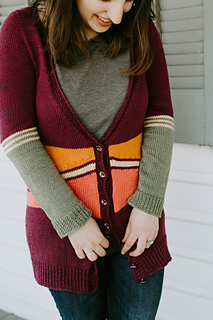 Paired with some interesting waist coloring to give the illusion of a butterfly’s wings’ stripes and some sleeve striping reminiscent of grass and leaves, I present to you the Lycaenid Cardigan! Lycaenids are a family of butterflies, of which I found the most similarities on colors I was thinking of for this cardigan that could be true to nature’s gift of these lovely creatures. 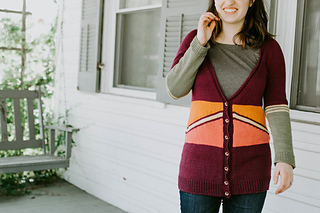 This cardigan is worked from the top-down, using Susie M’s contiguous sleeves recipe as a starter. 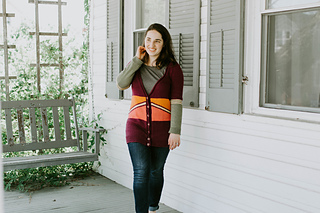 If you haven’t worked her sleeve method before, please visit her page on Ravelry (search contiguous in the pattern search bar and you’ll find it) before embarking on this pattern. 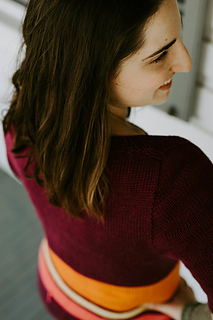 Worked almost entirely in stockinette stitch, the waist section with three bright colors, short rows, and increases provides a visual reference to butterflies’ wings’ stripes. There is no seaming with this project, though you will have to know how to change colors. The bottom edge is worked, then the front edgings—all in broken rib. The sleeves begin with the main color and use the final color, which is green for the sample, as another visual reference to grass and leaves that butterflies often land upon. 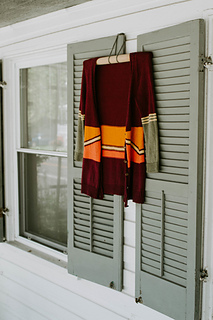 Colors: This sweater is designed for 4+ colors, though you are always welcome to work with more or less color than the sample pictured. Please keep in mind, though, that for the waist section to have the greatest impact, you will want to have at least two different colors, one for the in-between stripes, and one for the short row sections. A Note on the short rows: Unlike my other patterns with short rows (e.g. 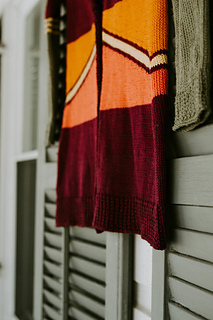 Assateague, Baton Rouge, Rainy Day Scarf, and Tuesday), this cardigan uses German short rows. I’ve included instructions in the Special Stitches section, along with a Youtube tutorial for further instruction on this technique.